When did you last back up your data? 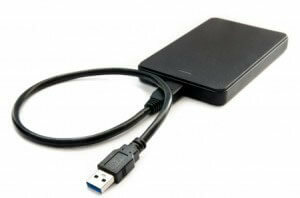 Getting a external portable hard drive may just save you a lot of trouble. Virtually everyone is creating data, masses of data. Do you know how much data you have on your computer hard drive? I'm guessing the answer is no. Think about it, you probably have a music library in itunes, you may well have DVD's copied to your hard drive for easy viewing and who hasn't got folders full of digital images. These three alone can take up many gigabytes of space on your hard drive. There are a few things you should consider where your data is concerned. First, it is gobbling up the free space on your drive and will eventually fill it up completely. If you fill a computer hard drive to bursting, it will have an effect on your computer performance. This lack of space can slow down your computer considerably.